Linen services are used in industries stretching from restaurants and food service all the way to hospitality. However, when it comes to healthcare, the linens for the medical industry are often in a league of their own. Placing a whole new set of guidelines for cleaning requirements and sanitation standards, medical linens absolutely must receive proper cleaning in order to protect patients from potentially dangerous contaminants, as well as safeguard healthcare providers from stringent enforcement policies. Here, we take a deeper look into the world of medical linens and rental services for the healthcare industry—exploring not just the common types of medical linens found in hospitals and small medical practices alike, but also the best ways for obtaining and managing medical linens as well. What Kinds of Medical Linens Are There? Although there are linens in other industries that guests commonly use and touch, the medical linens that patients come into contact with frequently have specific hygienic and cleaning requirements that must be met before they are considered safe for medical reuse. Bath Blanket Services – An ideal option for not just drying patients and keeping them warm during a bed bath, the bath blanket is also an excellent alternative to thermal blankets and spreads for patient warmth. Bedsheet Services – Each time a new patient enters a room, they need a fresh dressing of their bed and the sheets on it. Couple this with the need for clean sheets each time issues like patient incontinence comes up, and a hospital with hundreds of patients moving through their rooms can begin going through sheets quickly. Patient Gowns – Hospitals and the healthcare industry can sometimes mean the work gets dirty, which is why all patients are always asked to change into gowns upon their arrival. This way, even if gowns and other linens are soiled, they can be easily isolated and sanitized. Washcloth Services – From baths for bedridden patients to simply washing one’s hands after using the restroom, the reasons and uses for everyday washcloths in a hospital room are plenty—making it just as important that a healthcare provider has plenty of washcloths in their reserves as well. Hospitals and healthcare providers generally have a few options for how they go about procuring and managing their patient gowns and other linens. Regardless of whether they should choose to go through linen rental services or instead purchase them outright, Uniform Nations’ medical linen services work to bridge the separation between supply and demand for healthcare providers. This way, you can let us keep a steady supply of cleaned and sanitized materials always on-hand, letting healthcare providers worry about what should matter most—your patients. How Should I Go About Managing My Medical Linens? Healthcare providers should be aware of the more complicated differences between simply washing your weekly laundry at home as opposed to washing industrial-size loads of medical linens. Considerations like ventilation, storage, and appropriate use of chemicals and laundering practices all must factor into properly sanitizing linens for patient use in healthcare. While some hospitals and medical practices still stick to the status-quo and continue to clean linens in-house, the complexity and importance of properly cleaning medical linens has led a vast majority of providers to instead turn to outsourcing their bedsheets, blankets, and hospital gowns through external service providers. With medical linen rental services from Uniform Nations, we provide you all the healthcare linens you need with all the cleaning covered to go along with. Once you set up a schedule with your provider for which linens you’ll need and how often you’ll need them, the rest is taken care of—we make routine pickups of soiled linens whenever you request, dropping clean ones off at your curbside. 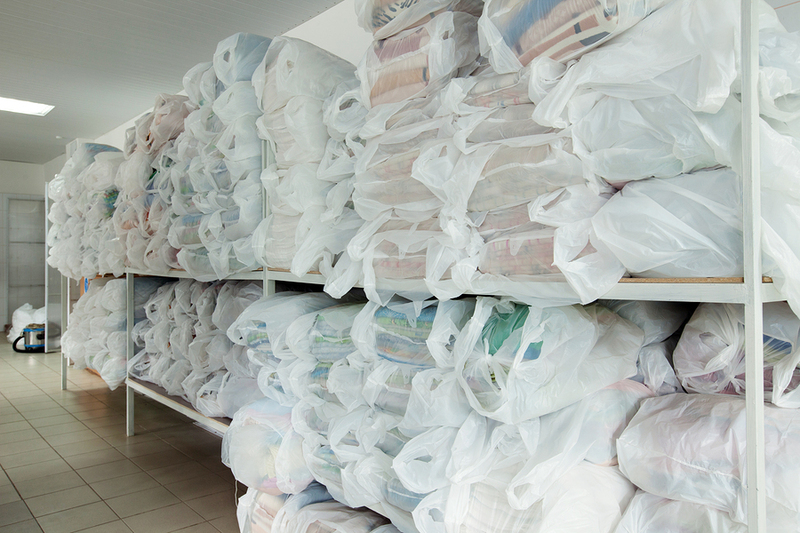 When healthcare providers choose to purchase their medical linens, many often choose to purchase an additional surplus inventory to get better pricing. 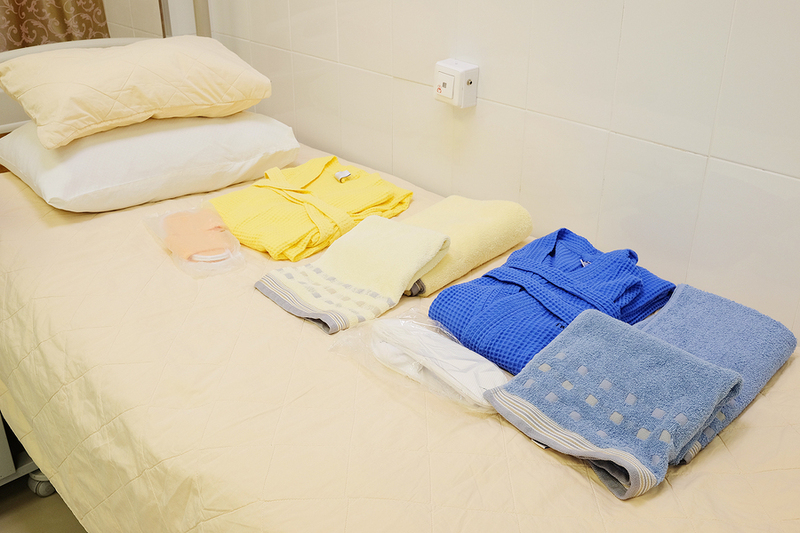 Despite this however, providers must not forget that these linens require storage space which could be otherwise used to house patients had the provider elected to rent their linens—making rental not only more cost-efficient, but also the space-efficient option. Compared to other industries, the linens that are used in healthcare tend to have a fairly rugged lifespan versus the linens used in other businesses. More often than not, chances are that at some point a set of sheets or a hospital gown will eventually become so damaged or dirtied that traditional laundry practices cannot properly sanitize the linens. While a linen purchase service would leave healthcare providers in this situation needing to throw out old and damaged linens in place of new ones, linen rental services often will include repair and replacement services as part of the rental fee, making it a far more budget-friendly option for linens that take a lot of wear and tear. .So what are you waiting for? To get your free quotes on linen services from medical to every industry in between, simply fill out the form to your right, or just give us a call at (866) 467-4178 to learn more about our linen services today! Understanding the requirements and the importance of properly laundering and sanitizing medical linens is the key to helping a hospital or medical practice avoid dangerous infections and costly contaminations. With medical linen rental services from Uniform Nations, our nationwide network of linen providers for healthcare and other industries is able to safely deliver and provide laundry services for the thousands of different linens your hospital dirties each day. To get started scheduling with a linen rental service near your medical practice, just give us a call at (866) 467-4178, or simply fill out the form to your right to request your free quotes on hassle-free linen rental and laundry services for your medical practice today! In the healthcare industry, linen and uniform rental services can provide medical practices numerous advantages from cost savings to proper sanitation. With this in-depth white paper, we take a closer look at some of these benefits for healthcare providers to keep in mind, exploring not just the uniforms and linens we provide our services for, but also the upsides to renting these materials as opposed to buying. Uniforms and linens are a critical material for industries such as healthcare and hospitality, which is why businesses in these industries must consider not just how they will obtain them, but how they will clean them as well. In this article, we provide a comparison of both in-house and outsourced laundry services in order to help give your business a better idea of which would suit you best. Does your business create enough laundry to make the investment in an in-house industrial washer? Or would you be better suited entrusting your employees to take their uniforms home and wash them? As a business owner, at the end of the day the choice is yours—so use this article on various linen cleaning options to help you make the best decision.